"Books about social and ecological change too often leave out a vital component: how do we change ourselves so that we are strong enough to fully contribute to this great shift? Active Hope fills this gap beautifully, guiding readers on a journey of gratitude, grief, interconnection, and, ultimately, transformation." -- Naomi Klein, author of The Shock Doctrine "To the future beings of the twenty-second century, Active Hope might turn out to be the most important book written in the twenty-first." 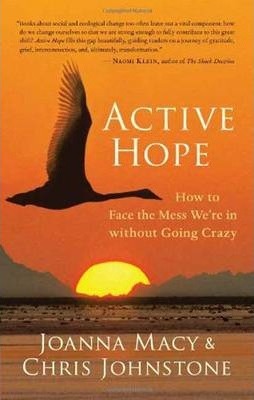 -- Bill Plotkin, author of Soulcraft and Nature and the Human Soul "More than any book I've read, Active Hope shows us the true dimensions of this crisis, and the way our heart and actions can be part of the great turning toward healing. Please read this book and share it with others -- for your own awakening, for our children, and for our future." -- Tara Brach, PhD, author of Radical Acceptance "Active Hope is a brilliant guide to sanity and love." -- Roshi Joan Halifax, abbot of the Upaya Zen Center "If you have despaired for our world, and if you love life, Active Hope will be for you an extraordinary blessing." -- John Robbins, author of Diet for a New America and The Food Revolution "Active Hope is not just a book but a gateway to transformation." Ecophilosopher Joanna Macy, PhD, is a scholar of Buddhism, general systems theory, and deep ecology. A respected voice in movements for peace, justice, and the environment, she interweaves her scholarship with five decades of activism. Physician and coach Dr. Chris Johnstone is a specialist in the psychology of resilience, happiness, and positive change.